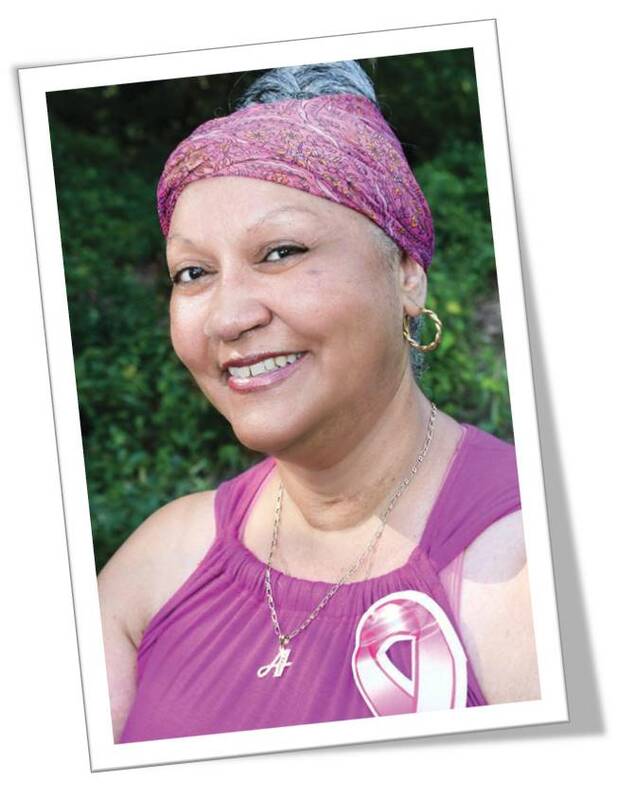 Hi, my name is Angela Perez-Cook and I am a Breast Cancer Survivor. In May 2013, I went for my annual mammogram checkup, which I do every year. After the checkup, I had an ultrasound and that’s when the technician asked me to go to another room and wait for the doctor to speak with me. Right then and there I thought, “Oh my God, they are going to tell me I have breast cancer!” So the doctor came in, sat down, and with no hesitation came right out and said, “You have breast cancer and we suggest you get a biopsy even though we already know it is cancer.” Now I’m nervous and scared so I asked, “If you already know, why the biopsy?” He said, “It’s the procedure and they needed confirmation.” Well, as you already know, that’s exactly what it was. I had Stage 2 Breast Cancer. I was in my early fifties. During the surgery, which was a lumpectomy, cancer cells were detected in one of my lymph nodes, so I needed to have chemotherapy and radiation treatments. All I thought about was losing my hair; but I was all right with it because I knew it would probably happen. It wasn’t until my second week of chemo that my hair started falling out and even though I thought I was prepared for it, in reality I actually wasn’t. I started crying. It was only with the support of my coworkers and family as well as Ms. Denise Armstrong, the Social Worker from Smilow Cancer Hospital, that I was able to cope with this cancer. I had some good days but mainly bad ones when I would get so sick that I couldn’t eat and would not want to be bothered with anyone. On the last day of my chemo I became so sick that I was hospitalized for a week. But again I overcame it. My radiation treatment wasn’t nearly as bad as the chemotherapy but I did have a lot of discomfort and burnt areas around my breast. It took a little out of me but I was able to cope with it. During my battle, I was introduced to this beautiful woman named Ellen Cotto, founder of the Sisters Sharing Organization, who was there by my side throughout my cancer and still remains by my side to help with whatever situations that I still deal with. I never did groups because I didn’t like to sit around people and discuss my business, but I dealt with it in other ways. I’m just so thankful and grateful to God for blessing me through the battle. So I say to everyone that whatever happens in your life, never think of the worst, stay positive and pray because God hears you and will get you through it. I don’t think about what happened; my scars are my only reminder. I AM A SURVIVOR!! !